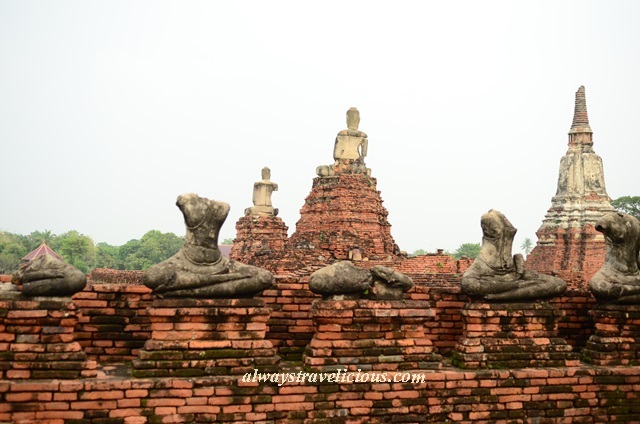 Wat Chaiwatthanaram @ Ayutthaya, Thailand - Always Travelicious ! The main structures were built on an elevated platform, with the 35 m tall prang as the center piece with 8 other chedi-structures surrounding it. The center prang from different angles. The chedi structures surrounding the central prang are connected by a walkway lined with sad sight of beheaded Buddha Statues. 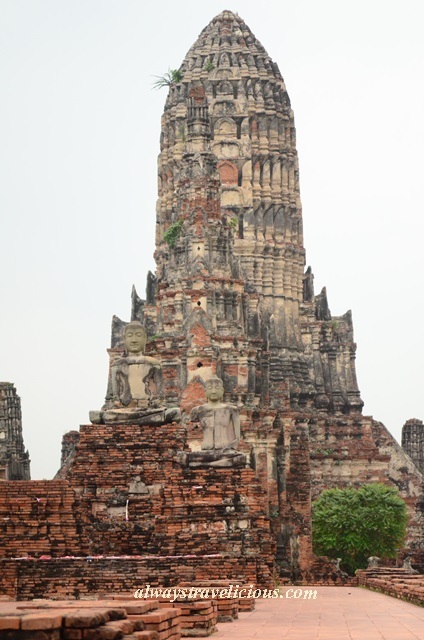 I went to Ayutthaya in June this year, we covered 6 temples in one day, wish I had done more, maybe next time! 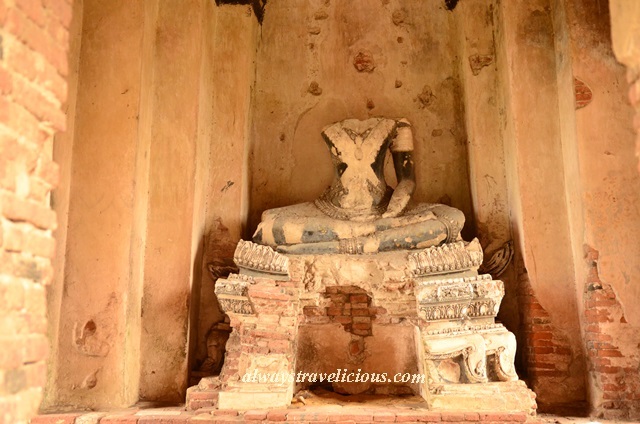 Wat Chaiwatthanaram is fantastic, you have great photos on this post. 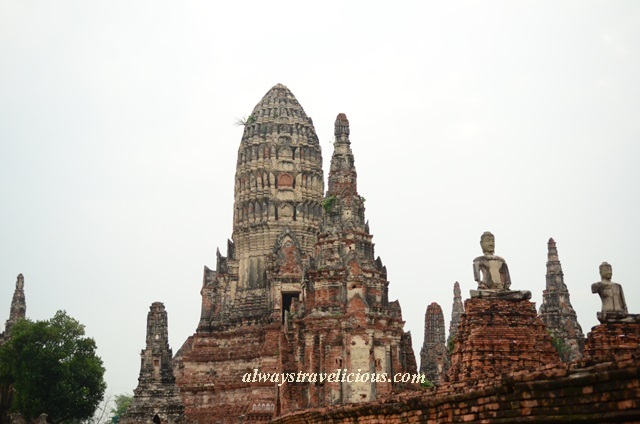 I was just in Ayutthaya for one day too and I wished I had more than that !